No new Nakba! – End the Siege! – Defend the Right of Return! 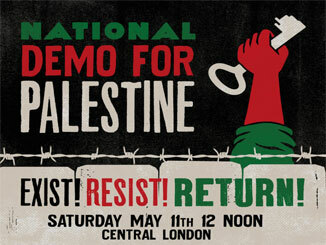 Organised by: Palestine Solidarity Campaign, Stop the War Coalition, Palestinian Forum in Britain, Friends of Al- Aqsa, Muslim Association of Britain. Supported by: Unite the Union, PCS, UNISON, RMT, ASLEF, Amos Trust, CND.